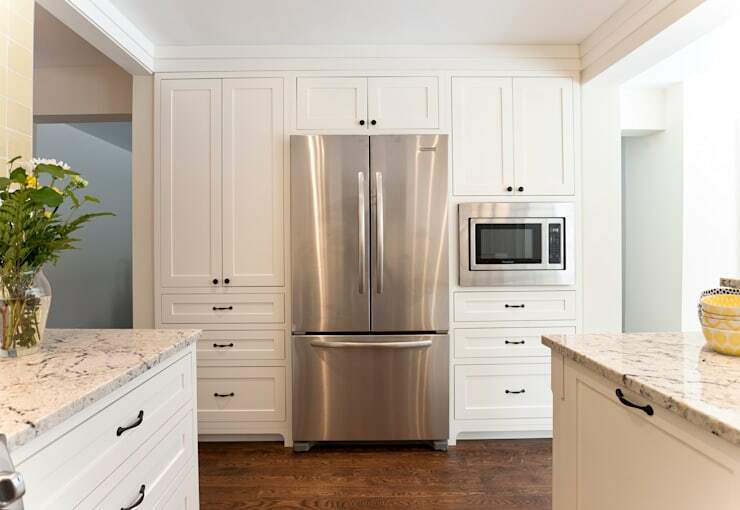 There is nothing more exciting than a pristine kitchen that is clean and ready for you as you prepare a culinary feast. Even better if it has all of the tools at your disposal! 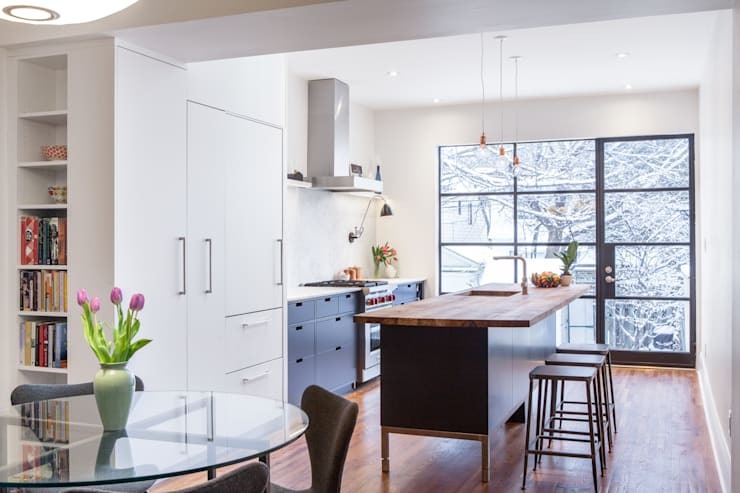 This is why today on homify, we are thrilled to bring you three Canadian kitchen renovations that will inspire and delight. These area all wonderful examples of modern and functional kitchens that are as aesthetically pleasing as they are fun to be in. What's more is that each of these kitchens is very different, showing how there is something for everyone, no matter what your style is. Are you curious to take a look? 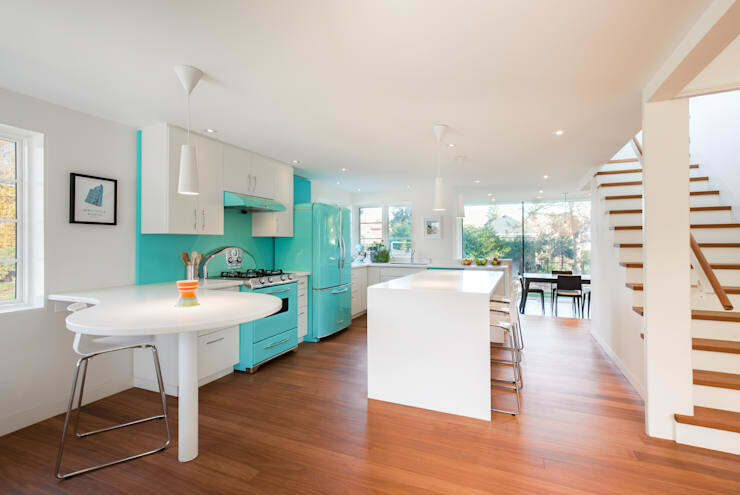 In this fabulous kitchen reno, we come across a slightly larger kitchen and a very cheerful colour combination. The designers have paired white and turquoise, creating a very welcoming, charming, modern and slightly retro look and feel. Again we can see the value of having a kitchen island as well as how many different styles, shapes and sizes they come in. While wood is quite an unusual material for a kitchen floor, it is durable and brings warmth to the space. If you choose it for your kitchen, make sure it is adequately sealed so that it doesn't get damaged by water or dirt. This kitchen, designed by professionals Studio Z, forms part of the larger living area. It's smaller in size than some kitchens, but it is very social and interactive. Not only can the chef chat to guests while he or she whips up a storm but there are even little bar stools at the kitchen island where they can relax with a cup of tea or a glass of wine. Kitchen islands are a wonderful addition to a small cooking area, providing it with extra storage as well as an extra surface for cooking or preparing food. From this angle, we can see how the designers have made the most of vertical space, installing shelves on the walls where items can be stored while remaining easily accessible. There are also plenty of drawers and cupboards, allowing crockery, cutlery and utensils to be neatly arranged and out of sight. Once again we come across a kitchen design by Studio Z where some charm and personality has been inserted into a predominantly white kitchen. 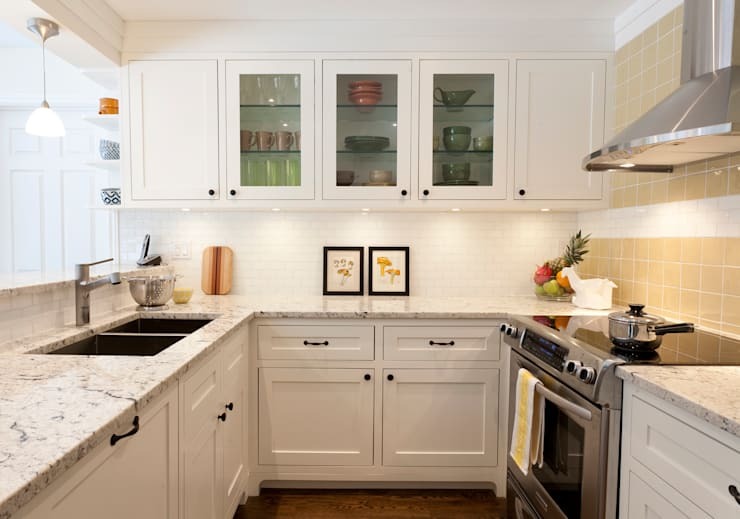 White is very popular for kitchens as it conveys a sense of cleanliness and hygiene. It's also simple and appealing. However here we can see how some yellow bar stools and a vase of flowers introduces a subtle touch of colour and ambiance – a great tip! If you want to keep some of your favorite plates or crystal glasses on display, why not opt for glass cabinets like these designers have done? This keeps them neatly stored out while still allowing them to remain on display. 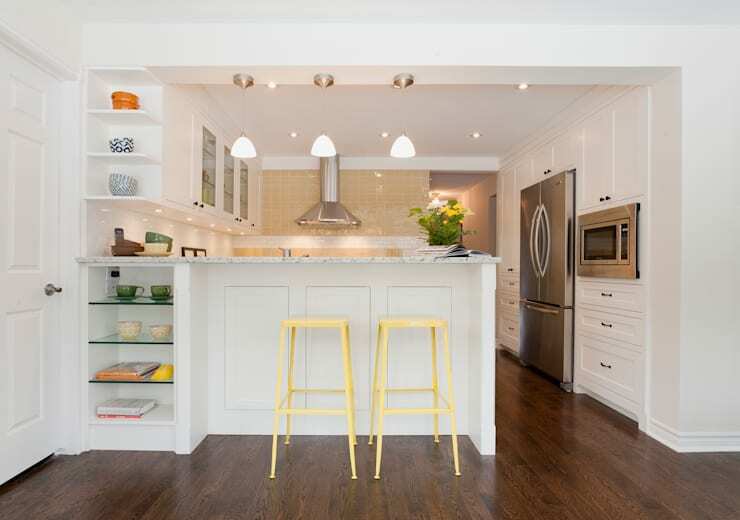 Also have a look at this article: 8 clever ways to improve storage in your kitchen. Technology is changing all of the time, giving us access to kitchen tools and appliances that our parents certainly didn't have. Make the most of them! They will make life far more convenient. 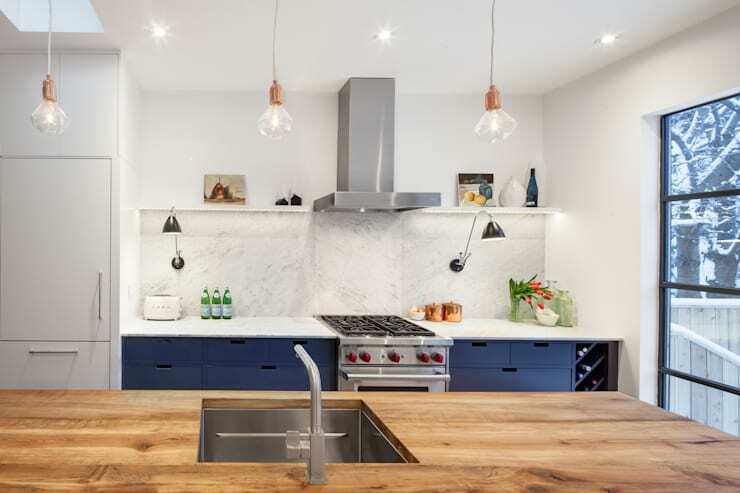 Have a look at these 6 modern kitchen must-haves. Which kitchen would you want?